A Bitter Truth about Abhishek Bachchan’s Life: Is he really an embarrassment for the Name of Bachchans? Abhishek Bachchan has been criticized by mane since the beginning of his Bollywood career. It’s true that he had to face many criticisms not just for all his all films but also for an embarrassment by the name of Bachchan. What do you think about this matter? Do you think that his flop Bollywood career has made him face much high criticism? Let’s find out the bitter truth of Abhishek’s life! It’s not true that Abhishek got so many chances to work in so many Bollywood films just because his father Mr. Amitabh Bachchan is a big name in the industry. He had to struggle a lot since the beginning of his Bollywood career. At first, he used to work as a driver. Later he decided to move into acting. He admits that being a Bachchan’s son hadn’t helped him to clear his way in Bollywood. He had to work on his acting skills a lot. Becoming what he is today was not so easy at first. It’s true that many of his films flopped on the box office. Now, let’s see the criticism that he has to face. He himself has admitted that there was a time when he used to think that no director is going to offer him another film. If his performance in films like Guru, Dhoom, Bunty Aur Babli, Dostana, and Bol Bachchan has been applauded, he has also earned his share of criticism for some of his movie choices. Abhishek’s career Since Abhishek’s debut with the film Refugee in 2000, he has faced many ups and downs throughout his Bollywood career. While his performance in Bollywood films like Dhoom, Guru, Bunty Aur Babli, Bol Bachchan, and Dostana has been applauded, he has earned a lot of criticism for his back to back flop movies. Once Abhishek has said, “Flop movies destroy you as a human being”. He has also admitted that a flop film doesn’t leave him feeling good. But, things have changed a lot in the past few years! 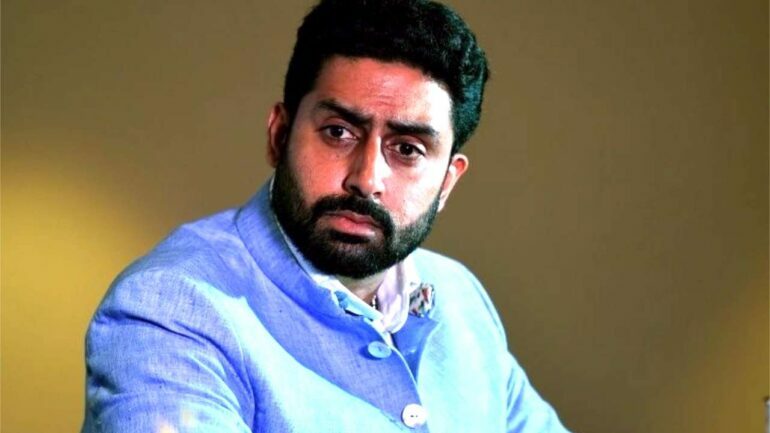 After so many years’ hard work and efforts, people not finally appraise him for his great work in the recent film Manmarziyaan and other films like Bol Bachchan, Dostana, and Dhoom. Yes, his acting is now being praised by many. So, is his really an embarrassment for the name of Bachchan? What do you think?